Maybe it’s just me, but I find it a little disturbing to think of Grandma packing a hand gun. 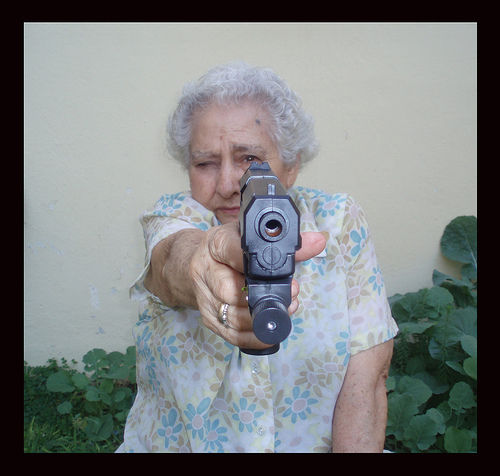 Can you picture your grandmother with a gun? I’ve asked many of my friends lately, “Do you own a handgun?” The overwhelming response has been “yes,” followed by impassioned explanations of self-protection and the fear of an upcoming revocation of the sacred constitutional right to do so. Is it because I live in the south? the bible belt? 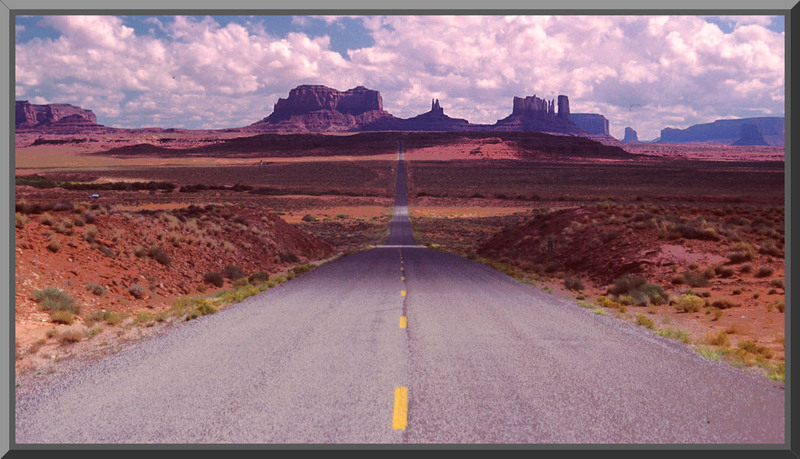 a red state? Trust me when I say that I get it. I understand the need to bear arms. Please don’t interpret my sly grin and my nodding head as a sign of disapproval. It’s more like a sign of disbelief. I’m a grandma myself and I try to imagine the scenario. It’s Monday and I can’t find my cell phone, I forgot that I left my flat-iron on and I didn’t write down that the pest control guy was coming at 10. I am getting out of the shower when I hear a noise, it’s a burglar. I quickly wrap a towel around me, run to the kitchen, grab a step stool, run to the closet where I keep my gun high on the shelf away from the children, find the box of ammo (in the drawer by my bed-away from the gun-to avoid an accident), find my reading glasses because I can’t see a thing without them, load the gun, aim it with a steady arm, fire and shoot the guy standing at the front door while holding up the towel with my chin. Don’t worry about the poor pest control guy, I missed him by a mile. My husband took me to a shooting range once. You had to put on earphones because the sound was unbelievably loud. My first shot was pretty darn good, but when the instructor kept cautioning me to keep my thumb wrapped around the handle, or I might cut it off when the casing shoots out the back, my aim got worse and worse. I don’t do too well when I’m scared. So at least (in my made up scenario), I still have my thumb, though I’m quite deaf and the would-be robber got away. Mary, Mary quite contrary, how do your buckets flow? Perhaps because the years have filled me with so many conflicting experiences, people and situations, a simple cup can not possibly hold the measure of my personality. Contrary to the familiar analogy of an optimist vs a pessimist, I have no cup at all, half full or half empty. I spend time, consciously and unconsciously, emptying and filling two large buckets. Two buckets, one containing all the beautiful, lovely, admirable, creative, joyful, life-giving moments one can possibly imagine. The other, heavy with un-resolved issues, disappointment, pain, guilt, betrayal, fear. When either bucket is full to capacity, a tiny drop of emotional input triggers an inexplicable reaction, a blending and bubbling up, a spilling out of the bucket’s mysterious content. Imagine what a steady drip or sudden downpour releases.